Pivot has renewed the Secret Lives of Americans TV show for a second season. The show is executive produced by Greg Lipstone, Stephen Lambert, Leah Hariton, and Danny Villa for MME/Filmpool USA and All3Media America. John Henshaw also serves as executive producer. Jeff Skoll and Christy Spitzer serve as executive producers for Pivot. Pivot has also renewed Human Resources for a third season. The Human Resources TV show is executive produced by Ken Druckerman, Banks Tarver, and Anneka Jones for Left/Right. Jeff Skoll and Lyle Gamm serve as executive producers for Pivot. […] Pivot greenlit a twenty episode season two of “Secret Lives of Americans,” a third season of “Human Resources,” and announced four unscripted projects in development. Scripted development will be announced in early 2016. […] Participant Media reinforced its commitment to original content by greenlighting a 20 episode second season of “Secret Lives of Americans,” a third season of “Human Resources,” and announcing four new unscripted projects in development at Pivot. 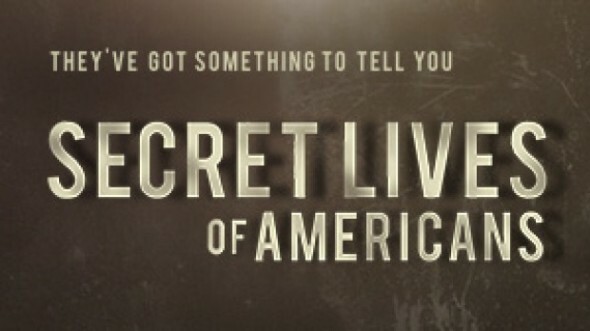 The 20-episode second season order for “Secret Lives of Americans,” is a first for the network in terms of the number of episodes of a single season of original programming produced. The new seasons of “Secret Lives of Americans” and “Human Resources” are slated to air in 2016. “Secret Lives of Americans” provides a platform for the series’ participants to reveal a personal long-held secret. The second season of the series is executive produced by Greg Lipstone, Stephen Lambert, Leah Hariton, and Danny Villa for MME/Filmpool USA and All3Media America. John Henshaw also serves as executive producer. Jeff Skoll and Christy Spitzer serve as executive producers for Pivot. Participant Media (http://www.participantmedia.com/) is a leading media company dedicated to entertainment that inspires and compels social change. Founded in 2004 by Jeff Skoll, Participant combines the power of a good story well told with opportunities for viewers to get involved. Participant’s more than 70 films include Spotlight, Contagion, Lincoln, The Help, He Named Me Malala, The Look of Silence, CITIZENFOUR, Food, Inc., and An Inconvenient Truth. Participant has also launched more than a dozen original series, including “Please Like Me,” “Hit Record On TV with Joseph Gordon-Levitt,” and “Fortitude,” for its television network, Pivot (http://www.pivot.tv/). Participant’s digital hub, TakePart (http://www.TakePart.com), serves millions of socially conscious consumers each month with daily articles, videos and opportunities to take action. Follow Participant Media on Twitter at @Participant and on Facebook. Have you been watch either Secret Lives of Americans, or Human Resources? Do you plan to check out the new seasons, premiering in 2016? Let us know. More about: Human Resources, Human Resources: canceled or renewed?, Pivot TV shows: canceled or renewed?, Secret Lives of Americans, Secret Lives of Americans: canceled or renewed?